Today on the 69th Independence day,the Veterans of the Nation had high hopes that the Hon’ble PM Mr Narinder Modi will announce “OROP” but termed it as a black day for the 25 lakh veterans and 6 lakh widows of the Nation. 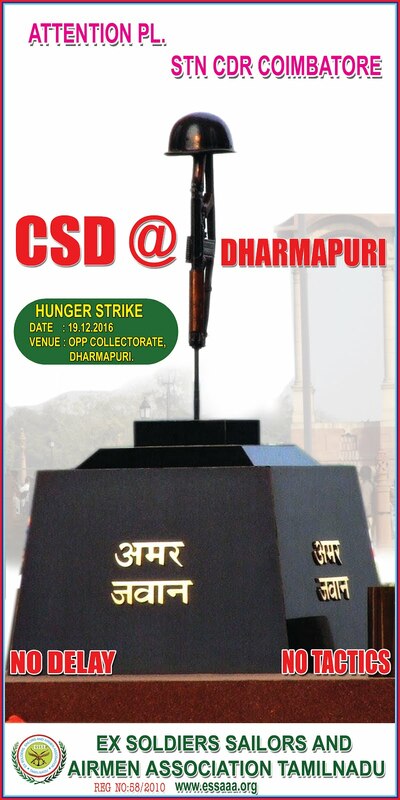 The veterans had been on Relay Hunger strike at Jantar Mantar since 15 Jun 2015 and equally at Polytechnic Chowk Ambala. The black day started with black eve of Independence Day at Jantar Mantar on 14 Aug 2015,when the govt manhandled the ESM siting on RHS on pretext of security risk. It was beyond imagination of any Indian citizen to see the aged and beloved veterans, sitting on peaceful dharna in a disciplined manner demanding OROP , being pushed around at Jantar Mantar by the Delhi police is not something any one of us would have ever wished for. The police had orders that they the veterans posed a threat to the security before Independence day celebrations! Security threat posed by whom,the very men in whom you repose complete faith to guard your national borders while you sleep safely in the comfort of your homes and family? Security threat posed by the very men whom you call out to rescue your public in floods , earthquakes, communal riots and all natural calamities and national disasters! Its really sad that we belong to a nation with such an ungrateful lot of politicians and bureaucrats. Has it been worth it or has it really been worth it ? All the sacrifices and the pain and the anguish of our men ,seeing their children grow up in their absence, not being present at the death bed of a beloved parent, or at the side of their wife when she delivered the first baby while they served at the border or fought some god forsaken war or were fighting insurgency in the far east or terrorism in the west? Have our veterans given their life and limb for nothing? It pained every citizen see the pride of a very old A 90 plus veteran from Grenadiers being manhandled ,his medals ripped off and shirt torn! Others are dragged by uniformed police and heckled. drawing sharp reactions from ex-servicemen sitting on 62nd day of relay hunger strike at Jantar Mantar, watched Modi’s speech on LCD screen but switched it off the moment his brief OROP mention was over and vowed to step up their protest. He further said “in-principle OROP has been accepted by us but talks with stakeholders are on,” “A solution has to be found for an issue which has been lingering for 20-25 years. I expect good news seeing the way the talks are going on. And that is why I again promise that in-principle, this government has accepted OROP,” he said. However, All ex-servicemen of the nation reacted sharply and “rejected” Modi’s Independence Day speech. We are totally disappointed. We expected the Prime Minister to at least announced the date for implementation, but all we got again the false promise,which was done by the government when it came to power. Modi Govermant accepted principle of OROP 17 months ago and what holding the implementation of OROP is the question the veterans are posing. The veterans are demanding pensions benchmarked at the 2014 rates and rejects the government offer of 2011 rates. 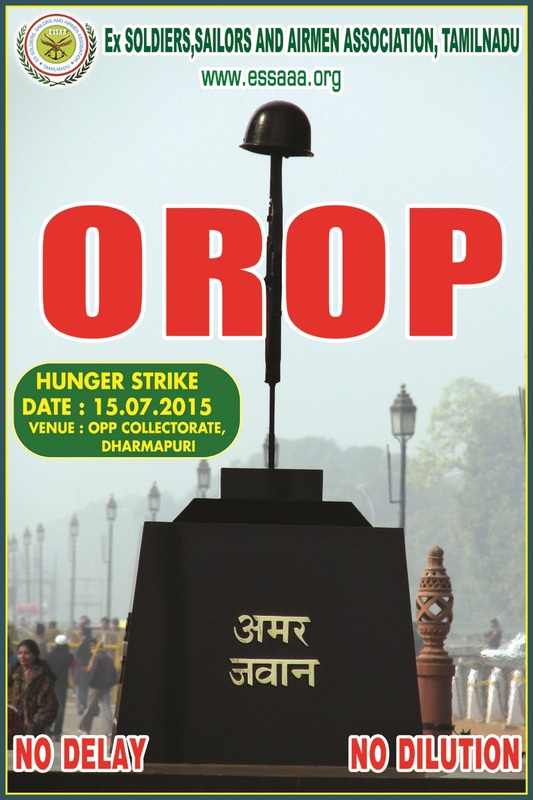 They want the OROP without any dilution. Where are the ESM who became MP like Gen VK Singh, Col Rathore? Gen Khandoori , Col Sonaram, Ms Kiran Kher daughter of a veteran, who were supported whole heartedly in parliament elections by ESM. Why haven’t they resigned? Close to 26 lakh ex-servicemen and over six lakh war widows stand to be immediate beneficiaries of the scheme, which envisages a uniform pension for the defence personnel who retire in the same rank with the same length of service, irrespective of their date of retirement..
Today veterans are feeling ashamed of voting them in power as politicians promises has always been hollow.It the solider that make life’s of his countrymen safe, secure and comfortable at our homes by giving their life guarding borders and fighting our wars had become a security risk for this government, at Jantar Mantar. Today veterans are questioning the supreme commander role . Do the Armed Forces really require a defunct Supreme Commander as mandated by the Constitution, anymore?? What is our President/ Supreme Commander doing? In the United States, 15 presidents have served in the Army/Army Reserve , 9 in the State Militias, 6 in the Navy/Naval Reserve, with 2 presidents having serving in the Continental Army. In addition, eight presidents served during World War II, while seven served in the military during the American Civil War. That was the kind of military service they did before becoming the President and Commander in Chief of the US of America. No wonder they respect their Armed Forces and their Veterans. "A Nation reveals itself not only by the men it produces, but also by the men it honors, the men it remembers..."